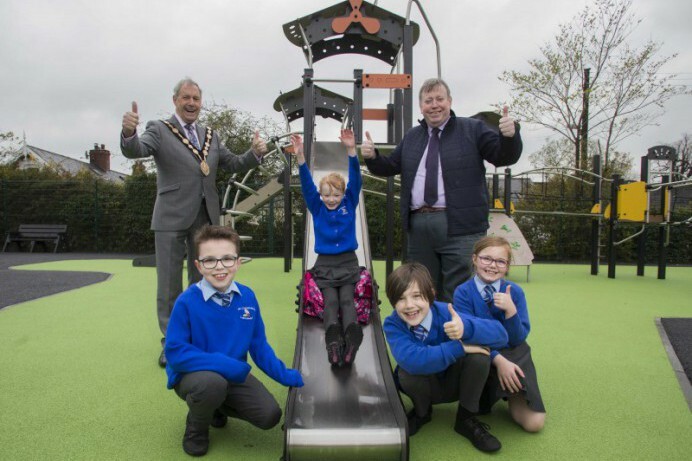 Home > News > Swing by the newly refurbished Lambeg Play Park! Swing by the newly refurbished Lambeg Play Park! 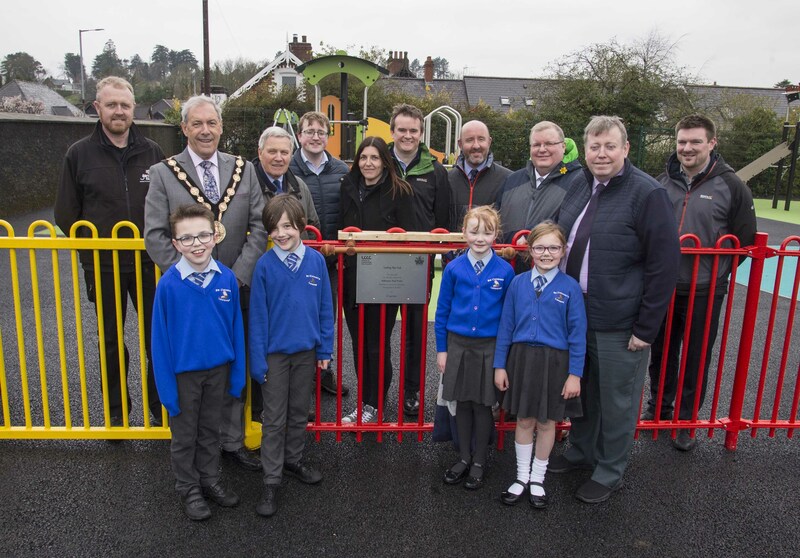 Lisburn & Castlereagh City Council (LCCC) has officially reopened Lambeg Play Park – the third community play park to be refurbished this year as part of the council’s £620,000 investment into redeveloping its local play areas. Alderman Paul Porter, Chairman of the council’s Leisure & Community Development Committee, said: “We know the local community have waited with excitement and in anticipation for the reopening of Lambeg Play Park. It’s a much valued space for the entire community and we’re delighted to have modernised it to this first-class standard. “As a council, we’re committed to creating places where local people of all ages have opportunities to enjoy healthy and active lifestyles. Children’s play facilities are so important on a number of levels. Playing outside helps children develop muscle strength, coordination, flexibility and fine and gross motor skills. By playing outdoors they also learn to explore their environment and gain self-confidence. Queen Elizabeth II Play Park and the Hillhall Play Park were reopened first on 22 March. Other play parks to open in the coming weeks are located at Moat Park, Edgar Avenue and Colby Park. Each play park will have a safety surface and a range of play equipment to accommodate children of all abilities. LCCC would like to urge all residents to treat these new play areas with respect so that the facilities can be enjoyed by everyone.